In discussing Vitalism and science I mentioned the threshold between living and dead matter. I've already written at some length about the idea of life after death. I've argued that we need to consider Buddhist afterlife beliefs in the context of other afterlife beliefs and to see the structural similarities that make it very similar to other afterlife believes. I've also discussed the problem of transmitting information from one like to another and how pratītyasamutpāda was modified to try to preserve the Buddhist doctrine of karma. In this essay I want to explore the threshold between death and life, and particularly in this direction, more closely. It seems to me that our perception cannot help but be biased on this subject because of the way we experience life and death. I also want to touch on the state of the field of abiogensis, the study of how living cells might have been created from a combination of non-living components. Of we still don't have all the answers to this question, but we haven't been looking for very long, just a few decades. For most of human history we believed that God, in one form or another, animated dead matter to make living things. Note that the issue of an interim state (antarabhāva) between death and life will be dealt with in a forthcoming essay. Our usual perspective on the distinction between living and dead matter arises out of seeing living beings die. Often if we're with someone who dies and it's calm enough to make observations, we will see that they simply breathe out and never breath in - they expire. Perhaps this is why life is associated with the breath? With no more in-breath the functions of life swiftly stop. I will deal with the issue of the breath and vitalism in a separate essay. We do not directly witness a "new life" starting in the sense of conception or embryos developing and until very recently did not even know about gendered gametes fusing for form a new zygote. Certainly most of us never see so-called "dead" matter turn into "living" matter since it happens out of sight. We eat food in the form of once living but now dead living things, but we don't see the process of how that "dead" matter is incorporated into our living bodies. We don't see iron being encapsulated in a haem and becoming haemoglobin and transporting oxygen around our bloodstream We might even understand that this does happen, but we never witness it. Any explanation for life must not only account for large scale beings like humans, but also for microscopic life and even for single celled organisms. The amoeba is clearly a living thing. If matter can enter and leave a living organism continually without ever affecting the status of the organism vis-à-vis' living, then we can explain this in two ways. On one hand we might say that as a cell absorbs, say, a molecule of oxygen that has been transported in the blood by haemoglobin, that individual molecule is endowed with jīva, becomes alive, and participates in the collective life of the being. But this sounds a little implausible since oxygen does the same chemistry outside living cells. If every molecule has it's own nano-jīva or some infinitesimal portion of a cosmic jīva then all matter is alive (to some extent). And if all matter is alive then the transition of a living being from alive to dead is just a matter of perspective, since the matter doesn't die when the person dies. The idea of a single life force, splinters into billions of trillions of tiny life forces that add up to a living being. The question is how we would distinguish jīva from ordinary physical energy. Here jīva and energy both do something similar, i.e. animate matter. The argument here is that individual molecules or even subatomic particles must have some animating force. Even so, since matter can appear dead we're still left wondering what is different between a handful of clay and a mouse. 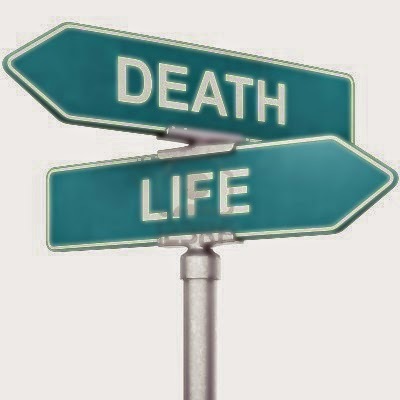 We haven't solved the problem of the distinction between life and death at all. On the other hand we can see life as a property of the cell and see the matter, which comes and goes, as just a building block or a container for a singular jīva. This view is compatible with Vitalism and (more or less) Materialism. But it does mean there is no real distinction between living matter and dead matter; there's just matter and the distinction only applies to larger conglomerations of matter. For the vitalism something non-material (i.e. not made of matter) is added to the cell to make it live whereas to the materialist what is added is energy in various forms particularly heat and stored in chemical bonds. Either way it seems that matter itself cannot be alive or dead. Matter is just matter. There's no such thing as living matter and dead matter. However there living organisms and dead organisms. So life is not a property of matter per se, but only of organisms. Though of course organisms are complex structures built of matter. We used to imagine that something must enter the body at conception in order to make it living. But microscopy has showed that even before conception the zygote is a fully living thing. Sperm are produced as living things in a male's testes. Eggs are living in the ovaries of females from before birth. In the reproductive cycle there is never a time when a cell is produced dead and becomes alive. New living cells are formed from dividing old living cells. All of our cells are from lineages of cell division stretching back at least 3.5 billion years old. So if we never really go from being dead to being alive then what role could a jīva play? The only time we really need a life force to explain anything is 3.5 billion years ago when the first living organisms came to life. Our perspective on the threshold between life and death is almost exclusively focused on the transition from life to death because the transition the other way is invisible to us in every day life. However scientists have been able to "see" into this domain in new ways in the last century so - the field is called abiogensis meaning "originating from the non-living". The classic experiment that kicked off this field recreated our best guess of the physical and chemical conditions in the earth's atmosphere 3.5 billion years ago. The Miller-Urey Experiment (1953) created a closed system containing a mixture of gases made up of water, methane, ammonia and hydrogen. The gases were subjected to a continuous electrical spark intended to imitate lightening. The experiment ran for a week and at the end it was discovered that a rich variety of organic molecules had been spontaneously synthesised. The products included many molecules essential to life including amino-acids that make up proteins. Many subsequent variations of this experiment have been conducted and showed that by fine tuning the conditions almost all the molecules required for life might have spontaneously occurred on early Earth. New theories about the conditions on early earth have provided new avenues of exploration. In addition, analysis of meteorites has shown that they frequently contain organic compounds as well and may have seeded some of the important molecules to the "primordial soup". It's no longer beyond the scope of imagination for all of the required elements of life to have assembled spontaneously. Enclosed membranes made of lipids form under the right conditions; RNA molecules self-replicate and even noticeably evolve; amino acids occur in asteroids and meteors. It's only the last step that remains unknown. Just as quantum mechanics has broken down the barriers between physics and chemistry, the study of molecular biology is breaking down the distinction between chemistry and biology. Life as a New Kind of Stability. We've known for a long time that high energy systems are unstable and tend to find ways to shed energy and achieve greater stability. We understand this process as increasing the entropy in the system. Entropy can also be understood in terms of order: a highly ordered state has less entropy. With no external inputs systems tend to lower energy, less order, i.e. higher entropy states. So a drop of coloured dye in a container of water will diffuse until it is randomly distributed through out. A hot object will radiate heat until it matches the ambient temperature around it. If we add energy to a solid it will become a liquid then a gas (decreasing order) and vice versa. Addy Pross, Professor of Chemistry at Ben-Gurion University, Israel, has suggested that living systems attain a new kind of stability that is different to the thermodynamic stability of minimal entropy states (Aeon Magazine). Over time the entropy of the universe increases. But living organisms bucks this trend. Living things at the molecular level is both high energy and highly ordered, indeed living things continually absorb energy rather than shedding it. In terms of thermodynamics living things ought to be unstable and short-lived. But living things are remarkably stable in thermodynamic terms. Pross calls this dynamic kinetic stability. Pross argues that this dynamic kinetic stability is a feature of self-replicating molecular systems. For example, given the right conditions RNA molecules spontaneously self-replicate. But not always perfectly. All self-replicators will tend to exponential growth, but some variations replicate faster than others. The faster variants will come to dominate a system. A system of two RNA replicators which catalyse each other is even more stable. "This distinction does not trace the dividing line between living and dead matter precisely – but it does explain it, and many of the other riddles of life into the bargain." The approach is explored in more depth and the state of the field of systems chemistry is reviewed in Ruiz-Mirazo et al. (2014) - see below. In trying to think about the distinction between life and death most of us are hampered by only having access to knowledge of the transition in one direction: living to dead. I would argue that even the conception process which involves the joining of two already living gamete-cells is rather abstract for most people. The bio-chemistry which describes the movement of matter into and out of living systems is opaque to non-scientists. Thus most of us are ill-equipped to understand the distinctions between living and dead organisms. Certainly many Vitalists still seek to frame the discussion in terms of living and dead matter despite this being anachronistic and inapplicable. "Although chemistry operating on the prebiotic Earth must have been extraordinarily complex and heterogeneous, we believe it is not impossible to understand. A number of concepts and methodologies, developed over the past 30 years, are now mature enough to ensure a brilliant future for such an old and challenging endeavor of human beings: getting to know about their ancient origins from inert chemical matter." The most important conclusion however is that there is no need to posit a life force which animates "dead matter". This aspect of Vitalism is entirely discredited. Pross, Addy. 'Life’s restlessness.' Aeon Magazine. Ruiz-Mirazo, Kepa; Briones, Carlos; and Escosura, Andrés de la. 'Prebiotic Systems Chemistry: New Perspectives for the Origins of Life.' Chemical Reviews. More essays in my series on Vitalism. A very interesting view on the origins of life is the Alkaline Hydrothermal Vents Origin Theory. One of the leading proponents of this theory is Nick Lane (who was interviewed this week by Jim Al-khalili on his Life Scientific radio show). A full length (71 min) description of this theory can be found on YouTube. I highly recommend this lecture. This is the most plausible theory of the origin of life that I know of. It also critiques the Miller-Urey approach, which never got beyond creating amino acids, and shows how to improve upon it. It's very much part of the modern Buddhist landscape to read passionate polemics against materialism/physicalism or "scientism" or even rationalism. However these polemics typically come with philosophical baggage. All too often the anti-Materialist is a Vitalist; the anti-Scientist is a Fideist; and the anti-Rationalist is a Romantic. Which is to say that in the argument over what constitutes right-view many, far too many, Buddhists are not arguing for the Middle-Way, but are repeating 19th Century Western arguments over the perceived faults of the science of the day and, consciously or unconsciously, adopting philosophical positions that are also of doubtful compatibility with Buddhism. I say 19th century advisedly. My colleagues often seem to be stuck in a time warp when it comes to science. One of my colleagues recently cited Schopenhauer as having "refuted materialism", but Schopenhauer's key work The World as Will and Representation was published in 1848, 11 years before Darwin's On the Origins of Species. He died in 1860. So what did he even know about modern Materialism? Almost nothing. We now have some nascent critique of Romanticism in Western Buddhism with David McMahan's book The Making of Buddhist Modernism (which I would make required reading for all Western Buddhists) and Thanissaro's useful essay The Roots of Buddhist Romanticism. Very few Buddhist writers are openly Fideist (Dharmavidya being one recent exception) and we at least have a widely understood critique of blind faith, even if it's not something we all live by. So it seems to me that there is a gap around the issue of Vitalism and how it informs polemics against Materialism. In this essay I will begin to develop a critique of Vitalism specifically for Buddhists. Vitalism is a doctrine which argues that living things are distinguished from non-living things by a vital spark, an élan vital, life-force or living essence. The idea has a long history and is explicit in the works of some ancient Greek philosophers. In Indian terms this would equate to jīva 'the life force' (from √jīv 'to live'). If you've ever seen the corpse of a loved one, you'll probably have some sympathy for this view. For example seeing my father's corpse in 1990 led me to reflect that though the body was clearly his in every respect, that he himself seemed to be missing. Although even then I did not believe in a soul, the experience is still one that I find unsettling to recall. The Vitalist argues that what is missing is precisely the jīva. Clearly the idea of a vital essence has much in common with a soul, though a vital spark might be less individualised and personalised. On the face of it, any view which endorses the idea of a jīva ought to be incompatible with Buddhism, but it is apparent that many Buddhists are also Vitalists. 18th Century Vitalists argued that organic molecules associated with life would not be able to be synthesised from non-living matter. This hypothesis was disproved in 1828 when a German chemist, Friedrich Wöhler, reported that he had synthesised urea from cyanic acid and ammonia. Urea is a by-product of amino acid metabolism in mammals and a significant component of mammal excretions (birds excrete the related substance uric acid). It is the most common source of nitrogen in fertilisers for plants. Since 1828, virtually every molecule associated with living things has been synthesised in a laboratory from basic components. Vitalist scientists once believed that one could prove the existence of this essence by weighing a body before and after it died. In the early 20th century this approach was put into practice by Dr Duncan MacDougall, though his results were inconclusive and his methods now look suspect. Dr MacDougall weighed his patients, bed and all, and the measurement error on his scales was sufficient to obliterate information at the level he claimed to be measuring. However neither Wöhler's discovery, nor any subsequent chemistry, nor MacDougall's failure completely destroyed the appeal of Vitalism, indeed in some circles it positively thrived. His first 27 years of scientific life (1949-1976) were spent at Cambridge exploring the first problem, where he helped to discover the structure of DNA and it's role in life and received the Nobel Prize. It's less well known, because his biographers down play it, but he spend the next 28 years (1976-2004) at the Salk Institute, San Diego helping to establish the scientific study of consciousness. In both places Crick joined the field at the beginning, when the mainstream attitude to them was frequently dismissive or even derogatory: molecular biology in the 1950's was seen as a quixotic discipline. Crick was instrumental in establishing both disciplines on a sound footing and getting the establishment to take it seriously. It's even less well known that Crick briefly collaborated with Dr Leslie Orgel on the question of the origins of life. The two of them investigated the Panspermia theory that life arrived on earth from an extra-terrestrial source. But he decided to leave this area to Orgel. Aicardi argues that Crick's working life can be seen as vigorously pursuing an anti-Vitalist agenda and indeed as making a significant contribution to discrediting Vitalism, at least amongst scientists. Francis Crick is a household name because his 1953 collaboration with James Watson, Maurice Wilkins and Rosalind Franklin in determining the structure of the DNA molecule earned the 1962 Nobel Prize in Medicine for Crick, Watson and Wilkins. Franklin died in 1958, aged only 37, and the Nobel Prize cannot be awarded posthumously. DNA was suspected to be involved in heredity since it is concentrated in the cell nucleus, but with the structure solved it could be seen how it was involved. We now know that the DNA contains codes for making proteins that perform a variety of structural and functional roles in a living cell. DNA and its close relative RNA are responsible for carrying information about how to build cells in all life on earth. Defining the structure of DNA was an extraordinary breakthrough in our understanding of life. From it we have come to understand a huge amount about the function of living cells and what distinguishes a living cell from a dead one. We can now manipulate DNA at will, transferring genes from one organism to another, creating new genes. Recently an entirely artificial chromosome was synthesised and shown to be functional in a living cell. Of course we still have much to learn, but the distance between living and dead organisms, once thought to be an unbridgeable gulf, is now just a short hop. What we've discovered however is that complexity occurs at every level we examine. A living cell has tens of thousands of different proteins all doing vital work, each protein is itself a marvel of complexity. The problem of reverse engineering such a complex system is formidable. Ascertaining the structure and function of single proteins is the kind of work for which scientists have received Nobel Prizes. However it would seem to be only a matter of time before perseverance results in entirely synthetic "living" organisms. As one scientist said recently: "the conceptual unification of biology with physics and chemistry is now underway." - Aeon. But the Vitalist is loath to acknowledge the significance of these discoveries. They persist in the axiom that there is a fundamental difference between living matter and dead matter. So while the refutation of the basic propositions of Vitalism means is has been eliminated from the laboratory, it persists in the general population. Presented with facts, Vitalists retreat into the unknown and base their truth claims on propositions that cannot be tested. This is also known as the God of the Gaps Argument. Whenever some advance in science means they are put to the test, and inevitably shown to be wrong, they simply retreat further into the unknown and make a different truth claim. As one prominent astrophysicist commented recently, the God of the Gaps argument suggests that "God is an ever receding pocket of scientific ignorance..." (YouTube) The God of the Gaps Argument is generally considered to be a poor argument for God and bad Theology. Since the idea of a jīva has been severely undermined by science, and since it was never very attractive to Buddhists in any case, the Buddhist Vitalist tends to focus on consciousness as the vital essence of living things. Traditionally Buddhists embrace a dualism between mind and body as expressed in nāma-rūpa or in rūpa versus the four 'mental' skandhas. The Salla Sutta refers to bodily (kāyika) and mental (cetasika) experiences. And since bodily transmigration is clearly out of the question, interest falls on the mind even though early Buddhist texts reject the idea that consciousness itself transmigrates. Of course Buddhists argue against a direct transference and adopt the language of conditionality: the last moment of consciousness in one being gives rises to the first moment of consciousness in another. But how this is achieved is unknown. The idea is sketched out with metaphors, but the underlying reality the metaphors describe remains opaque and incomprehensible. The incomprehensibility allows for the Mind in the Gaps equivalent of the God of the Gaps argument. The question of what is meant by the word consciousness is itself a book length project. I've explored this question to some extent in previous essays: especially What is Consciousness Anyway? One of my colleagues once remonstrated with me quite vehemently that "the study of matter will never tell us anything about consciousness!" This is very similar to the Vitalist argument argument about chemistry. In the early 19th Century the speculations of Vitalists concluded that there must be some fundamental difference between living matter and dead matter. Scientists showed that there is only one kind of matter and it all obeys the same rules. We can speak of living and dead organisms, but not of living and dead matter. Matter is just matter, it is neither living nor dead. "Life" is a property that is apparent only at higher levels of complexity and organisation. Crick on the other hand was instrumental in establishing two completely different fields about which the mainstream was doubtful, cynical and dismissive. Crick was able, in both cases, to produce results which forced the establishment to take notice. Another fine example of this is (my hero) Lynn Margulis, who fought for years against not only paradigmatic mainstream hostility, but also rampant sexism, to have Symbiogenesis accepted as a fact. It is now found in every biology textbook, but the original paper was rejected by fifteen academic journals. These days paranormal researchers publish in their own in-house journals and where the critique of the mainstream cannot reach them because when it does it generally debunks both their methods and conclusions. The 100th Monkey Hoax is one of the better examples of this. To-date the scientific study of consciousness has largely focussed on the way that consciousness is altered by brain injuries and other insults to the integrity to the brain. Even at this early stage we know that an ontologically dualist explanation of consciousness seriously struggles to explain what we observe. Clearly consciousness is tightly correlated with brain activity with a good deal of function/location specificity. Chemicals and highly location specific brain injuries create predictable breakdowns in the functioning of the mind. As imaging techniques become more sophisticated we are also starting to get glimpses of brain activity associated with various tasks (though it is very much early days). If, as the Vitalist often argues, consciousness is able to completely separate from the body (and by implication the brain) then why does brain damage inevitably negatively impact on consciousness? No explanation which calls for an absolute distinction between mind and brain can account for this phenomenon in a coherent way. As with the chemistry of life it's useful to start small. So scientists study small organisms with only a few neurons into order to assess the roles of the various structures involved. For example the OpenWorm project has mapped all of the cells of a particular kind of microscopic nematode worm. This organism contains 302 neurons and 95 muscle cells. On this scale they are able to map every single cell and all of the connections between cells: the somatic nervous system (282 neurons) contains 6,393 chemical synapses, 890 gap junctions, and 1,410 neuromuscular junctions. Such a map is called a connectome. Studying the organism at this level will give us a much clearer picture of how a nervous system creates behaviour. Scientists boldly claim that the computer models of the organism themselves constitute artificial life-forms, and while the enthusiasm is understandable, this is probably overstating things a little. Since the structural units of the nematode are more or less the same as the structural units of a human brain - the difference is in the complexity of our brains - modelling the nematode's nervous system ought to give us insights into our own brains. The effects of scale are bound to introduce differences however - our brains have 100 billion neurons with 100 trillion connections. The emergent properties of systems this complex are impossible to predict. Similar work is being done at a variety of levels. Larger scale maps of the human connectome are now emerging and recently a new technique for preparing brain tissue has revealed a 1:1 scale map of every neuron and synapse in a mouse brain (watch the video!). 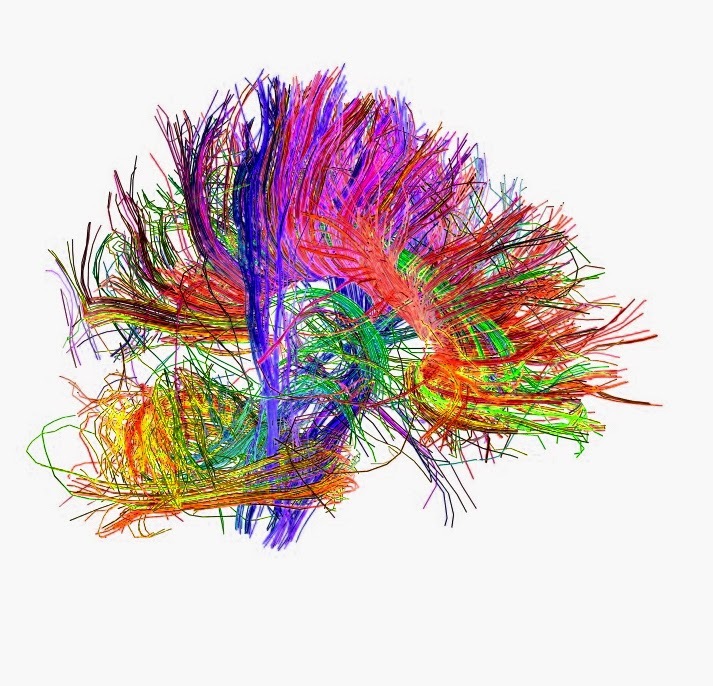 Meanwhile the Blue Brain Project is simulating individual cortical columns (as seen on TED) millions of which make up our neo-cortex. However the Vitalist can dismiss all of this with one sweep of the hand because for them studying the brain will not reveal anything about subjective consciousness. Vitalists also argue that we'll never know what it is like to experience the world from someone else's point of view. I don't accept this for a simple reason that was evident to early Buddhists as well. Most of us are highly skilled at modelling emotional states using empathy - we do not simply guess what another person is feeling, we actually have the same experience as they do. How do we know it's the same? We communicate about what the experience is like and there are aspects of experience that are universal. A skilled story teller can make their audience laugh, cry, boil up in anger or cringe in fear. This could not happen if inner-states were truly unique. The fact is that we do know what it's like to have a point of view which is not our own. Some of us a better at it than others, but the ability is available to some extent to all social animals. It's more than a century since any scientist took Vitalism seriously. It's not a theory that makes accurate predictions and has been shown to be inaccurate in many ways and on many occasions. However Vitalism still has its appeal outside the laboratory, especially with religious people. It appeals to that part of us that is disturbed by the idea of our own death, an area of particular concern to religion. The idea that human beings, often over and above other kinds of life, contain a vital spark, an essence, a jīva that not only animates us in this life, but which survives our physical death and makes an afterlife possible is an enticing prospect. If at the same time we are ontological dualists, with a predisposition to reject the impure material world then some kind of pure animating spirit is almost a requirement. The attraction of Vitalism is obvious. But the life ought to have gone out of Vitalism by now. It has been refuted time and again. Vitalism is like a philosophical zombie, suffering from partial death syndrome. Vitalism, like other non-materialist doctrines, survives and prospers by appeals to the unknown and unknowable. The truth claims of Vitalists by necessity lie just outside the province of scientific knowledge, where-ever the boundary happens to lie. The fact that Vitalism is found to be flatly wrong whenever the frontiers of knowledge advance is of no concern to anyone who can retreat into the unknown. Despite the fact that Vitalism has repeated been proved an inaccurate worldview, Vitalists still claim it cannot be proved wrong. Thus Vitalism is more in the realm of theology than science these days. For Buddhists the attraction is not so much in physical Vitalism - the distinction between living and dead matter; as in psychological Vitalism - the interest is in sentience and in how that can be transferred (along with habits and memories) from one being to another. Explaining this is usually at least implicitly Vitalist - the metaphor of one fire kindling another is explicitly Vitalist. This view can easily come to the point of arguing that consciousness is what animates the living being. The next essay in this series on Vitalism will look more closely at the transition from dead to living. I've been thinking a lot about how a failure to understand science affects the arguments against materialism. In Buddhism we often make the argument that you cannot understand Buddhism unless you have practised it. By the same token we might argue that unless one has practised science one can hardly be expected to fully understand it. And as a result many people have naive and unsophisticated views about what science is. If more people had a positive experience of discovering empirical laws for themselves in school that we might be having a very different discussion about religion and science right now. Unfortunately most of us learn science in large classes aimed at middling students, from average teachers who may or may not have become jaded by the grind of the job. In the end most of don't actually learn any science. But for me learning science was always a joy. I want to see if I can communicate something of this. Water is a liquid at standard temperature (20°C) and pressure (1 atmosphere). Under STP it freezes, i.e. becomes a solid, at 0°C STP; and it boils, i.e. becomes a gas, at 100°C. Water is an excellent solvent and able to dissolve most minerals. 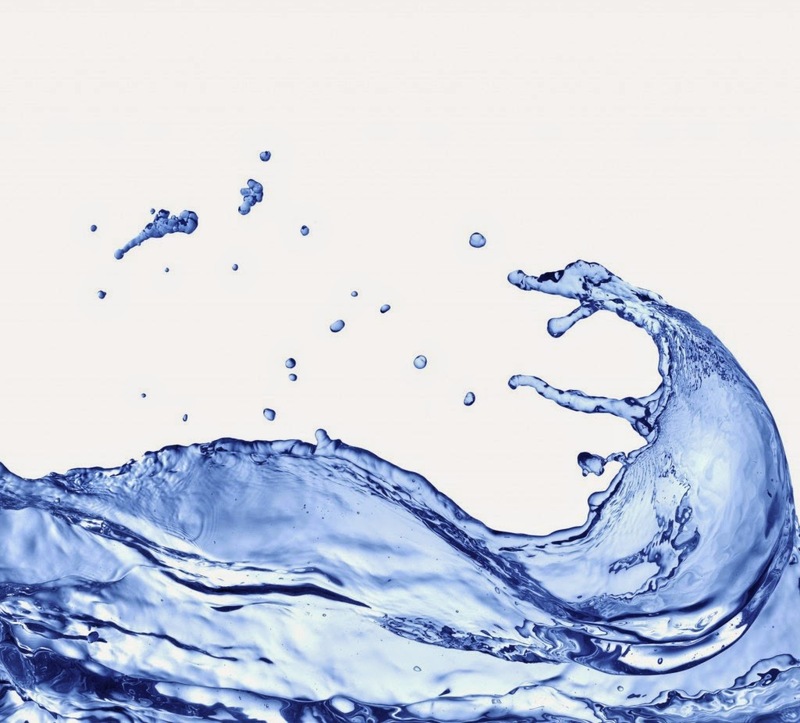 Water is an electrical conductor and with even small impurities can be an excellent conductor. Liquid water has a high-surface tension so that it forms relatively large drops. Water is moderately chemically stable - it doesn't easily react with other chemicals. Water ice can take as many as 15 different forms depending on the conditions. Water vapour is a major contributor to the greenhouse effect. The water molecule is represented by the chemical formula H2O. This means that each water molecule contains one oxygen atom and two hydrogen atoms. The two hydrogen atoms attach to the oxygen on one side about 105° apart from each other. I look at the reasons for this shortly. But how do we know all of this? Isn't it all just some theory? Well, no. It's not all "just theory". It certainly involves interpretive theory, but most of it is either from direct observation, or deductions from indirect observations. I'll try to explain how we know about the water molecule. 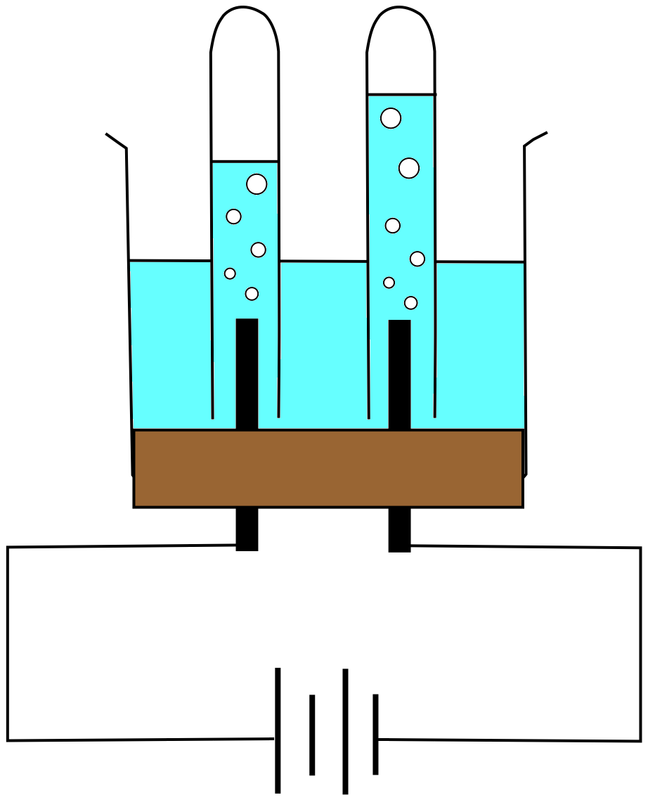 If we pass an electric current through water (a process called electrolysis), gas bubbles form at each of the electrodes and the amount of water is reduced. If we collect the gasses we can discover that they are oxygen and hydrogen. Hydrogen was isolated and characterised by Robert Boyle in 1671. Oxygen a century later by Carl Wilhelm Scheele in 1772 (published in 1777). If we mix hydrogen and oxygen and provide a spark to kick things off, then in an explosive reaction they recombine to form water and nothing else. (I've done this and it is quite spectacular!) Boyle showed that any gas at a given temperature and pressure will occupy the same volume - this is an empirical law that holds true for all gases. When we electrolyse water we get twice as much hydrogen gas as oxygen gas. Hence we deduce that in water there is twice as much hydrogen as these is water. Hence the chemical formula: H2O. If we use pure water this is always true. Impurities do change the result slightly. But anyone can take a battery and two wires and pass electricity through water and see bubbles forming. And bubbles at one electrode will always behave like oxygen (for example will make a flame glow brighter) and bubbles at the other will always behave like hydrogen (react explosively with air), and there will always be twice as much hydrogen as oxygen. Always. One of the important things to note is that water has properties as a compound that neither of it's component parts, oxygen and hydrogen, have or even hint at. That two gases would combine to form a liquid with entirely different physical and chemical properties is an important observation. With 20th centuries theories we not only understand this but have successfully predicted the properties of new elements and compounds. 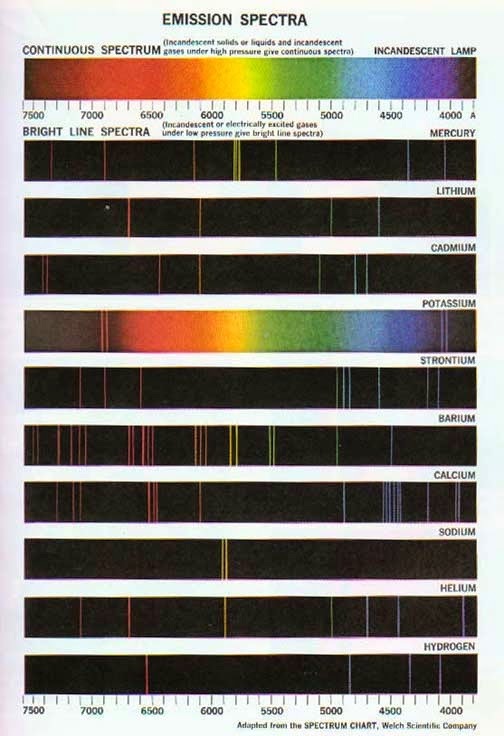 If we heat these gases till they are incandescent and start giving off light (in the same way that a heated filament does) or pass an electric discharge through them (as in a fluorescent light bulb) then we examine the spectrum of the light given off we will find characteristic frequencies of light (called an emission spectrum). We all know what sodium vapour lamps look like - the characteristic bright yellow light comes from hot sodium atoms. In fact hot sodium atoms give off two precise wavelengths of visible light, both in the part of the electromagnetic spectrum we perceive as yellow. The colours of fireworks are produced in a similar way: certain metallic elements give off specific colours when hot: strontium, a deep red; cobalt, blue; copper, green and so on. Mixing a little strontium in the gunpowder makes the explosion glow red. So we can also test for hydrogen and oxygen by measuring the light that they give off. This is also how we know the composition of distance stars - characteristic frequencies tell us the kind of elements present, and relative brightness tells us the proportions. We can also deduce something important from what kinds of substances water will mix with and what it will dissolve. For example we know that water and alcohol mix completely and can only be separated out by distillation - which involves boiling the mixture. Ethyl alcohol boils at 78°C so it boils first and turns into a gas that drifts away from the liquid. However water will not mix with oily substances. Water will dissolve rock given time, but not wax. There's a neat trick you can do that helps to explain this. We all know about static electricity. If you rub plastic with a natural fabric the difference in electrical properties causes a transfer of electrons and the build up of a static electrical charge. If you wear nylon clothing your whole body can build up a charge that discharges when you touch another person or a door handle (for example). 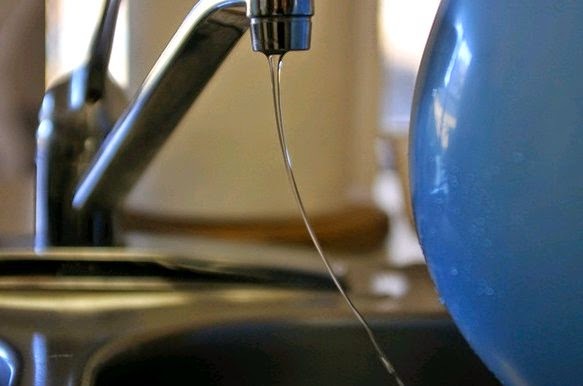 If you charge up a balloon with a good amount of static by rubbing it on someone's clean dry hair (which is entertaining in it's own right) and bring it close to a stream of water, the stream will bend towards the balloon. It turns out that water is able to be attracted by an electric charge. But oils and fats are not. If the water molecule were symmetrical it would not be able to be attracted by an electric charge. Carbon dioxide is symmetrical and not subject to static, which is why one ought to use a CO2 extinguisher on an electrical fire and not water (which conducts electricity). The conclusion we get from all of this is that water molecule must be asymmetrical, giving it a slightly negative charge at one end and a slightly positive charge at the other. Thus we can deduce that the two hydrogen atoms must both be on one side of the molecule. By looking at snowflakes and other ice-crystals and by measuring just how susceptible pure water is to electrical attraction we can get a pretty good idea of how asymmetrical the molecule is. The best estimate for the angle between the two hydrogen atoms is 104.5°. We can get a better understanding of water by comparing similar compounds, especially those involving atoms nearby in the periodic table. For example might look at hydrogen compounds of carbon, nitrogen and fluorine on the same row, and sulphur in the row below. If we look at how each of these elements combine with hydrogen we find that carbon forms a compound CH4, (methane); nitrogen forms NH3 (ammonia) and fluorine forms FH (hydrogen fluoride). So there is a pattern here: 4, 3, 2, 1. Sulphur forms a compound H2S (hydrogen sulphide; aka rotten-egg gas), just as oxygen combined with hydrogen in a 2:1 ratio. In fact one of the reasons sulphur is in the same column of the periodic table is precisely because it forms H2S and not H3S or HS. Clearly the naming conventions are a bit mixed - common names, legacy chemical names, and modern notations compete. If FH is called "hydrogen fluoride" despite the formula being FH "fluorine hydride". If they fit the pattern above H2O and H2S really ought to be OH2 (oxygen dihydride) and SH2 (sulphur dihydride) but they never are. By comparing the physical properties of all these we get further insights. CH4 is a gas at room temperature, highly combustible in oxygen but otherwise quite chemically stable, and insoluble in water. NH3 is also a gas at room temperature, strongly reactive with other chemicals, and is highly soluble in water. FH boils at 19°C; it is highly water soluble forming hydrofluoric acid and extremely reactive (hydrofluoric acid is used for etching glass which is not touched by concentrated sulphuric or nitric acids). Thus we can deduce that carbon with its fourfold symmetry forms a more stable molecule. And we known that carbon forms more kinds of compounds than any other element - it is the basis of organic chemistry. If 4 objects surround a fifth symmetrically they occupy the points of a tetrahedron - the internal angle between each would be 120°. So as a first approximation we might expect NH3 to be a tetrahedron minus one point (or a three sided pyramid with N at one apex). Again, if the H atoms in NH3 were evenly distributed around the Nitrogen we'd expect different properties (e.g. less soluble in water). For the two H atoms in a water molecule to be about 120° apart. In fact as I said they turn out to be 104.5°. The mathematical models for atoms predict that each electron will have a distinctive energy. But also they will allow for pairs of electrons with different "spin" (an abstract physical property the consequences of which are observable in subtle experiments, but which would take a long time to describe). Hydrogen has only one electron and is highly reactive with almost anything that can accept an electron. Helium atoms with two electrons are very reluctant to form any chemical bonds. They occupy opposite ends of the first row of the periodic table. It turns out that if we add a third electron, as in lithium (Li) then we once again get a highly reactive atom. But atomic carbon with six (2 + 4) electrons is relatively stable and fluorine with nine (2 + 7) electrons is once again highly reactive and neon with 10 (2 + 8) electrons is almost completely inert. The pattern is consistent with different types of orbitals for electrons. The first (s) orbital takes 2 electrons and is more or less spherical. The second (p) orbital takes 8 electrons, in 4 pairs. We can guess from the kinds of molecules they form (and the crystal structures of those molecules) that these orbitals form a tetrahedron. (In fact there is a difference between atomic and molecular electron orbitals, but we'll focus on the molecular orbitals). The shape of these orbits are relatively inflexible which is partly why water and ammonia are asymmetrical. In any case we now roughly know the shape of the water molecule and its electrical characteristics. And we can begin to relate these to some of its physical properties. For example the fact that water molecules are not symmetrical means that one end of the molecule as a slight negative charge and one end (the side with the two hydrogen atoms) has a small positive charge. This accounts for water's electrical conductivity. It also means that water molecules exert a weak attraction on each other - known as a "hydrogen bond" (indicated by a Greek delta δ in the picture). The positive ends of water molecules are attracted to the negative ends of others. This accounts for the surface tension of water. Water is very cohesive. In fact compared to similar liquids (methane, ammonia, or hydrogen sulphide as liquids) then water has a very high boiling point - indeed the other substances mentioned are all gases at room temperate. Ammonia NH3 boils at -33°C and hydrogen sulphide H2S boils (becomes a gas) at -60°C! So H2S is very different indeed from H2O. In order to break the attraction between water molecules one has to use a great deal more energy than to break the attraction between hydrogen sulphide molecules which are more or less the same shape. This also means that weight for weight water can absorb a lot of heat, which makes it useful as a cooling fluid in a variety of settings. With the dawn of the 20th century mathematical models of atoms began to become more sophisticated and were able not only to explain the behaviour of atoms and molecules, but to make predictions. One of which was that a molecule like water would have many different ways it could vibrate: rolling, tumbling, spinning on its one symmetrical axis, stretching bonds symmetrically and asymmetrically, flexing the two bonds. And many others. And each of these modes of vibration was calculated to have a specific energy. It turns out that the energies of these modes of vibration fall in the infra-red/microwave part of the electro-magnetic spectrum. By shining infra-red light through water, and sweeping the frequency we can see what frequencies get absorbed, corresponding to making the water molecule wiggle, and refine the theory with observations. (See also Water Absorption Spectrum). vibrational modes of the water molecule. click image to see animation. Spinning water molecules is also the explanation for how microwave ovens work. The microwave was patented in 1945 by Raytheon, though in fact it was discovered by mistake when a scientist working on radar melted his chocolate with his equipment. Apparently the first food to be deliberately cooked in a microwave oven was pop-corn. Water molecules spin around at ~ 2.4GHz (in the microwave part of the spectrum). Light at that frequency is absorbed by water molecules and translated into spinning, which manifests as heat (at the molecular level heat is equivalent to the speed of motion). Thus by shining microwave frequency "light" at 2.4 GHz on anything which contains water (like food) we can make it heat up. The theory also explained in detail why certain molecules took certain shapes and why for example the fourfold symmetry of methane was a particular stable configuration. By comparing theory to observation for all of the elements we have developed a very sophisticated description of the chemical compounds we know about. But it also enables us to predict new chemical compounds and to understand how we might make them. 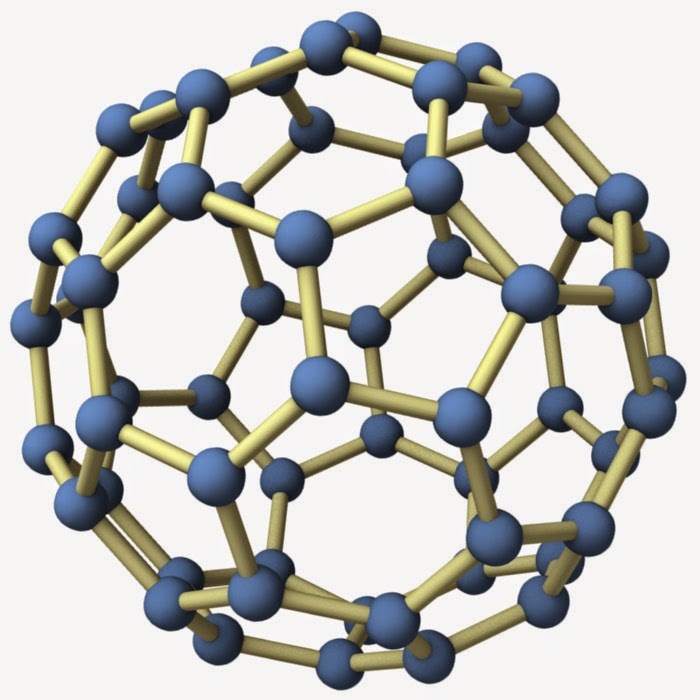 Buckminster-fullerene, so-called "bucky-balls", a form of carbon molecule with 60 carbon atoms arranged in hollow sphere with a structure like the domes designed by Buckminster-Fuller (or like a football), were synthesised using this knowledge. This knowledge has also helped to explain the structure and function of complex molecules like cortisone, oestrogen and testosterone. Quantum mechanics makes for an even more detailed description of molecule although with detail comes complexity. Some of the insights of quantum theory have helped in understanding the electrical behaviour of semiconductors and super-conductors. But to return to water. The unusual ability of water to remain in the liquid state that make it the idea medium for life. 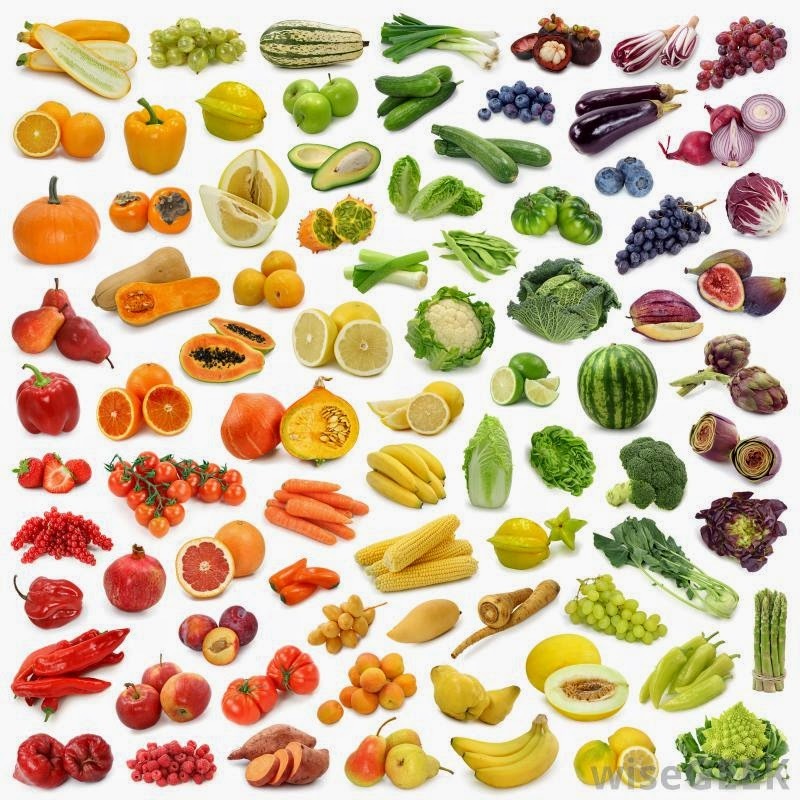 Similarly the ability of water to dissolve a range of gases, minerals and many organic compounds (sugars, alcohols, amino-acids, etc) without changing them chemically, make it the ideal medium for mixing a huge range of different chemicals such as we see in living cells (compounds which number well into the tens of thousands). This is only the briefest of surveys of what I remember from a few years of studying chemistry applied to a single, though important and interesting molecule. We now have detailed descriptions of all of the 96 naturally occurring elements, many of the artificially created elements, and millions of chemical compounds and reactions. These descriptions underpin most of the industrial processes that have made the developed world wealthy. If you're inside and you look around, the products of this knowledge will surround you: from the structural materials of your house, to the paints and other decorative elements. In my 3rd year organic chemistry class we had two major practical tasks. In the first term we were handed a vial of white powder and asked to find out what it was using any means available to us. Using chemical and spectroscopic (scanning the stuff with infra-red light) and nuclear-magnetic resonance methods I determined that my unidentified white powder was vanillin, one the the two main compounds responsible for the smell and taste of vanilla. It could not be another compound. The evidence was completely specific. The conclusion was not the product of a narrative or a worldview. If anyone else had accurately tested it, at any time and place, they would have also have found vanillin. The second task was to synthesise a compound called coumarin from basic laboratory reagents. Coumarin and its many related organic compounds are partly responsible for the smell of freshly grass (there are others). So the first sign of success in the synthesis - which requires a number of separate stages of chemical reaction - was the pervading smell of freshly cut grass. As it happens coumarin is also a white powder and I took my product home to make my room smell nice. The smell of freshly cut grass pales after a while. And I was able to specify in great detail, exactly how and why the recipe worked. So when people scoff at science I find it very peculiar. When people say it's just one narrative amongst many or than there is no objectivity in science, or (worse) that everything we know from science is subject to change, I can't help thinking that only a really ignorant person could say something like this. I've personally used all of the techniques mentioned above, done the practical experiments and derived the empirical laws. But I'm not the only one. Many people have done just the same and got exactly the same results. It really does work, and it really doesn't matter what you believe about the nature of the universe. If you look, this is what you'll find, but even if you don't look this is still how thing are! (See also Seriously, The Laws Underlying The Physics of Everyday Life Really Are Completely Understood). I don't think anyone who has not done chemistry, had the practical insights into chemistry, at this level or beyond, can really understand what it's like. Here is another account of water with prettier pictures: water. Where and Why Did the Sarvāstivādins Go Wrong? It's widely thought that both the Perfection of Wisdom texts and the writings of the Madhyamaka School attack the Realist position taken by the Sarvāstivāda School. The difficulty we have at 2000 years remove is understanding how any Buddhist could adopt a Realist position in the first place. Surely the Middle Way would have ruled this out? However, as I showed in my essay about Action at a Temporal Distance, early Buddhists inherited a major problem: pratītyasamutpāda and karma as outlined in the early Buddhist texts are inconsistent with each other. I showed that Buddhist schools modified the doctrine of pratītyasamutpāda to preserve the doctrine of karma more or less as it was. In the case of Sarvāstivāda, this solution required that dharmas be able to function as conditions -- tantamount to being real -- in all three times: present, future and past. But this was not the only influence pushing Sarvāstivādins towards Realism. As with other early Buddhist schools, the Sarvāstivāda focus moved onto the Abhidharma project, with Abhidharma texts quickly attaining canonical status. Each of the surviving Abhidharma texts is distinct in it's content, if not in its overall project and methods. Thus Abhidharma is a product of sectarian Buddhist schools which often see each other as rivals. The key task of the Abhidharma is to identify dharmas, to catalogue and describe them and to explore the dynamic relationships between them. Colette Cox, one of the leading writers on the Sarvāstivāda, calls these two functions: evaluative and descriptive (2004). Ābhidharmikas evaluated dharmas for their contribution to liberation and used the descriptive analysis of dharmas to deconstruct perceived structures and realities (particularly the self). Cox notes that this analysis became increasing fine grained and abstract. This in turn created the conditions for treating dharmas as real entities (dravya). This essay will explore this second Realist influence on early Buddhism, again focussing on the Sarvastivāda as representative of Indian Buddhism. Collette Cox (2004) sets out the process by which Sarvāstivādins grew into the idea of dharmas as real entities (especially 558-565). Since one of the main functions of the Abhidharma was to create a taxonomy it had to take the approach that all taxonomy projects must: it had to create categories, and criteria by which any dharma might fit into any category. The Sarvāstivādins concentrated on a method called "inclusion" (saṃgraha) in which for each dharma, they outlined what categories it fit into. Each dharma might fit into multiple categories, but it either fit or did not. All taxonomic projects have to proceed in a particular way in order to create meaningful and useful categories. And one of the main features of such projects is well defined categories, "...invariable criteria are demanded as the basis of unambiguous classification" (Cox 59). Human beings think about the world using categories. Contemporary understanding of these categories shows them to be based on resemblance to a prototype that sits somewhere in the middle of the taxonomic hierarchy (Lakoff 1990). The edges of such categories are fuzzy and membership is by degrees. Categories are an efficient way of dealing with large amounts of information and also to assessing the potential of a new entity or event by seeing it's similarity to familiar entities or events. And Lakoff argues that the categories we use are in part defined by how we interact with the members of the category - either physically or metaphorically (where the source domain for the metaphor is itself a physical interaction). The categories used by Ābhidharmikas, by contrast, seem to have been hard edged and made up of simple, artificial binaries and trinaries. For example a dharma was either samskṛta or asamskṛta; either kuśala or akuśala; etc. A Buddhist needed to know kuśala from akuśala dharmas for the purposes of pursuing liberation (cf Cox's two functions above). Kuśala dharmas are to be cultivated and akuśala dharmas to be abandoned. Matrices (mātṛka) of binary and trinary categories are thought to have made up the earliest Abhidharma "texts". Lists were memorised by the mātṛkadhāra (the counter part of the sūtradhāra and vinayadhāra) and the whole structure of Abhidharma categories could be (re)constructed from such lists. The descriptive enterprise of deconstructing apparent entities, particularly the self, into constituent dharmas gave rise to an encyclopaedic attempt to list all possible dharmas and the possible relations between them. Categories multiplied until we get the lists of 85 dharmas in the Theravāda and 75 in the Sarvāstivāda Abhidharmas respectively. Each school of early sectarian Buddhism took a slightly different approach to constructing categories, placing dharmas in them, and elaborating their relations. This suggests that the impetus itself is pre-sectarian and indeed we can see examples of Abhidharma style thinking in the early sūtras, as well as as a common core in early Abhidharma texts. However, the manifestations which survive as canonical texts and commentaries are a product of sectarian Buddhism. A dharma fits into a particular category because it has a particular function or nature which is referred to as svabhāva. This term originally had no ontological implications. Initially svabhāva is simply what enables us to distinguish one dharma from another (Cox 561-2). The early Buddhist worldview centred around the idea that experience is a flux of conditional processes, arising and passing away as our minds and sensory apparatus are impacted by objects, mental and physical. In this view a dharma was primarily the object of the mind sense (manas), though of course the word dharma is confusingly used in at least six main senses (see Dharma: Buddhist Terminology). But in relation to Buddhist thinking about experience, a dharma is a mental object. In this sense, perhaps, dharma comes closest to it etymological meaning of "support, foundation" - a dharma is the "objective" support process for a mental event to arise (i.e. for an experience to be conscious) when it interacts with the "subjective" perceiving processes. The first step on the road to seeing dharmas as real seems to have been the fixed categories into which they were put. As such we know that dharmas were all impermanent, unsatisfactory and insubstantial. I've already outlined the Sarvāstivādin argument for the "existence" of dharmas in the part and future as well as the present. Arguably one could maintain this kind of view without insisting that dharmas are absolutely real. The first step on the road to seeing dharmas as real seems to have been the fixed categories into which they were put. Whereas in the early Buddhist worldview everything was process, the introduction of fixed categories introduced an artificial reference point into the picture. A dharma was a member of a category in an absolute sense (pāramārthika) and thus a dharma had an identity (ātmabhāva) which was not contingent (Cox 560). It was not inevitable that Buddhists would come to think of their categories as territory rather than map, but it was a slippery slope. We suffer a similar problem today. For example physicists who study the regularity and similarity of experience can produce highly sophisticated mathematical models which describe the motion of bodies at difference scales and they may or may not be naive realists who believe they are describing reality (in fact most distinguish the map from the territory). But a few tiers down, those doing undergraduate physics are more likely to be unsophisticated about the distinction and to be naive realists. I know this from experience, for as one reproduces the results of, say, Isaac Newton and derives the laws of motion from first principles, the compelling conclusion is that one is describing reality (no one who has not done this can really understand how compelling it is). Once the information goes through the hands of science journalists and into the general public, most of the potential sophistication is lost. Most of us are naive realists with respect to experience, even when we intellectually espouse various philosophies about ontology, in practice we feel ourselves to be in contact with reality. It is all too easy for human categories to start to seem natural. Sectarian Buddhist intellectuals were still pre-scientific and produced a variety of speculative views about the world of experience with varying degrees of realism and idealism. In such a milieu the critique of views was simply a clash of opinions. It is all too easy for human categories to start to seem natural, that is to be an aspect of the world rather than something we impose on the world to help us make sense of it. Think of categories like large and small. These are defined on the basis of prototypes of various kinds of item. When we mention, say, 'dog' each of us has a prototype image of what a representative dog looks like. From this we know that great-danes are large dogs, and chihuahuas are small dogs. We don't usually stop to wonder why, or even pause to apply the label for extreme cases like these. To us it just seems natural. And so, mostly like, the Ābhidharmikas began to think of their artificial categories as natural and therefore real. They begin to blur the distinction between map and territory because the map is an internal, almost a priori construct, that transparently structures the way we interpret experience. Thus began the reification of dharmas by Ābhidharmikas. Colette Cox, with respect to the Sarvāstivāda, and Noa Ronkin, with respect to the Theravāda, both argue that ontological thinking is not obvious well into the Abhidharma project - into what Cox calls the mid-period texts. However dharmas were thought to fit into categories by virtue of their svabhāva - which early on means their 'particular nature'. It is the svabhāva of the dharma that gives it a particular quality and/or function and allows us to categorise it. At first it is simply that we are able to perceive certain regularities in our experience and thus to conceive of different kinds of dharmas. There is something particular about the the experiences that we learn to recognise and give a name to. By fixing the definition of categories one almost cannot avoid fixing the members of the category. The problem is that when the category is fixed and hard-edged, then the quality which qualifies any item for membership in that category can also come to seem fixed. Just as categories that move around and are not fixed don't make for very useful taxonomies, it is also practically unhelpful if the members of the categories are able to move around at random. By fixing the definition of categories one almost cannot avoid fixing the members of the category. And thus the meaning of the word svabhāva drifts from 'particular nature' towards 'intrinsic existence' and dharmas start to become real entities (dravya). It is the inherent dynamics of encyclopedic projects that, almost inevitably it seems, causes those who pursue such a project to first see their categories as real, and then to see the distinctions they make to fit objects into their categories as real, and in the Buddhist case to see the members of categories, i.e. dharmas, as real. despite the fact that the real/unreal distinction is specifically said to be unhelpful by early Buddhist texts. Be that as it may, the Abhidharma project has had a massive influence on Buddhism and leaves us with a legacy of ontological thought that frequently obscures the true intent of pratītyasamutpāda, i.e. explaining the arising and passing away of mental processes. It may be that this is why the anti-Realist and anti-Idealist ideas epitomised in the Kaccānagotta Sutta feature in the first chapter of the Aṣṭasāhasrika Prajñāpāramitā Sūtra as well as in Nāgārjuna's Mūlamadhyamaka Kārikā. The early Prajñāpāramitā sūtras tackle Realism head on with an uncompromising anti-Realism. Where Sarvāstivādins proposed real dharmas, authors of the Prajñāpāramitā sūtras said "no dharmas". The seem to have meant "no real dharmas", but the polemic is phrased in apparently nihilistic terms, presumably for rhetorical purposes. No dharmas. No arising. No ceasing. No pure dharmas. No defiled dharmas. And so on. This approach is sampled and remixed in the Heart Sutra. However we should not look down on the Sarvāstivādins. No other Buddhist school did much better. Theravāda ontology is scarcely more tenable. The predominant Mahāyāna solution to the problem of action at a temporal distance (the Yogacāra ālayavijñāna) involved the invention of metaphysical entities that only disguised the problem. While the Abhidharma was very intellectually productive, it was ultimately a dead end in terms of practice and soteriology. This essay started by arguing that understanding the Sarvāstivāda was important for seeing Prajñāpāramitā in context. However it also highlights that we are not yet able to say how Prajñāpāramitā deals with the problem of Action at a Temporal Distance. The solution widely adopted by Mahāyāna schools is from the Yogacāra, but there were several centuries between the composition of the Prajñāpāramitā and Yogacāra texts. Nāgārjuna's proposed solution is to treat the everything as an illusion (!) which seems an even less successful answer than the pudgala. I hope in the near future to explore if and how the early Prajñāpāramitā dealt with Action at a Temporal Distance. We've always known that Buddhism splintered into sects and that the sects had different doctrines. I hope that this trilogy of essays on the Sarvāstivāda has shed some light on how and why sectarian Buddhist developed in the way it did. The early Buddhists were struggling to make sense of the legacy of confusion in the early texts. Cox, Collett. (2004) 'From Category to Ontology: The Changing Role of Dharma in Sarvāstivāda Abhidharma.' Journal of Indian Philosophy 32: 543-597. Lakoff, George (1990). Women, Fire and Dangerous Things: What Categories Reveal About the Mind. University of Chicago Press. Sarvāstivāda Approach to the Problem of Action at a Temporal Distance. In recent weeks I've become a bit more involved in a distributed discussion about the twin Buddhist doctrines of karma & rebirth. This has been in response to apologetics defending traditional articles of faith with respect to karma & rebirth. Of course I have blogged about karma & rebirth (together and separately) quite often, mainly exploring the challenges that 400 years of empiricism raise for traditional belief. But one of the other topics I write about is the nature of religious belief and I have become increasingly aware that the discussion about karma & rebirth was in danger of becoming bogged down. It's all too easy to see the discussion as a contest between pejorative and polemical accounts of fideism and scientism. The two sides are already talking past each other. So I began to explore a new tack. I was aware that the Buddhist tradition itself had a history of modifying these doctrines and some explorations of this have appeared as essays on this blog (see e.g. How the Doctrine of Karma Changes). I'd also been exploring some of the metaphysical problems in early Buddhism. I realised that it might be fruitful to dive into the history of Buddhism and develop this a bit more. I wrote an essay for our Order journal which can be found on my static website: Some Problems With Believing in Rebirth. In that essay I briefly outlined eight problems that people who believe in karma & rebirth ought to have thought about and tried to resolve. These problems are not reasons to disbelieve in karma & rebirth, but they are quite serious problems most of which have historically troubled Buddhists and resulted in doctrinal innovations. 1. Inconsistent Early Buddhist accounts. 2. Later Buddhist adaptations and innovations. 3. Knowledge from 400 years of empiricism. Buddhists themselves found the earliest received versions of karma & rebirth unsatisfactory and changed them. Ignoring this aspect of Buddhism results in a lopsided discussion. The equivalent would be like discussing British history in terms of the Celts and the Industrial Revolution, but missing out the Romans, Saxons, Vikings and Normans. Importantly, the Pali suttas cannot solve the problems we encounter, because they (along with their counterparts in other scriptural languages) are the source of the problem as I will try to show. Karma, according to the Buddha, is cetanā (AN 6.63) and cetanā is a short-lived mental event. Pratītya-samutpāda requires that when the condition ceases the effect must also cease (imassa nirodhā idaṃ nirujjhati). Thus, on face value karma cannot coexist with pratītya-samutpāda because it requires the possibility of an effect long after the cessation of the condition, usually with no effect in the intervening time - in other words the effect only arises long after the condition has ceased. Ancient Buddhists noticed this and the result was a raft of doctrinal innovations attempting to reconcile the two, usually by artificially prolonging the action of conditions long after they cease i.e. Buddhists adjusted pratītya-samutpāda to accommodate karma. Of the many responses, this essay will focus on the Sarvāstivāda. The Sarvāstivāda School has a far better claim to be representative of early Indian Buddhism than does the Theravāda School. It dominated the North Indian Buddhist scene for several centuries while the Theravada School was relatively isolated in Sri Lanka: having little influence and being little influenced. The Theravādin Kathāvatthu, which is an account of the Vibhajyavādin's dispute with the mainstream of Buddhism, does not engage with the arguments found below (Bronkhorst 1989). There were of course other schools, but they all seem to have defined themselves at least to some extent in opposition to the Sarvāstivāda, or have subsequently been found to be part of the same movement (like the Sautrāntikas). We tend to ignore the Sarvāstivāda because of Mahāyāna polemics, and because their texts have yet to be translated into English. However, the Sarvāstivādins were very much alive to this problem and canny in their response to it. With respect to the problem of Action at a Temporal Distance, Dundee philosopher David Bastow (1995) believes that he has discovered the earliest argument for the existence of dharmas in the past, future and present - the characteristic idea that gave the Sarvāstivāda School its name. The argument is found the Vijñānakāya, a Sarvāstivāda Abhidharma text dated to perhaps 200 BCE and available only in Chinese translation. Consider a mental moment of greed, a "greed citta". It is axiomatic (for all Buddhist schools) that there can be only one citta at a time, though it may be accompanied by mental factors (cetāsika) such as attention, volition and so on (each citta and cetāsika being a "dharma"). This imposes a temporal sequence on experience. Cittas arise one after another in sequence, each lasting a fraction of a second. Knowing that what we are experiencing is "greed", is itself a citta. So the knowledge that a citta was greed can only follow after the fact of the greed. Knowledge follows from experience. If we know we have experienced a greed citta then that greed citta cannot be non-existent, since, imasmin sati, idam hoti. Sati is a present participle from √as 'to be' while hoti is a dialectical variant of bhavati from √bhū 'to be, to become'. The phrase says "while this exists; this exists" (the pronoun in both cases is the deictic idam which is conventionally translated as 'this' and indicates something present to the speaker). It is also axiomatic in Buddhist psychology that for vijñāna to arise there must be a sense object (ālambana) and sense faculty (indriya). Thus the greed citta must "exist" in some form (imasmin sati). We don't need to get bogged down in defining in what way it exists, only to acknowledge that like any sense object it functions as a condition for vijñāna to arise, so it cannot be non-existent. And since the greed citta must sequentially precede the knowledge citta, the greed citta must exist (in some way) in the past. The same is true of all cittas. Furthermore, it is essential to both Buddhist ethics and karma that a greed citta has future consequences. The classic pratītya-samutpāda formula informs us that if the condition has ceased then the effect ceases. The corollary is that if there is a future effect, then a future condition must exist. Thus, in our example, the greed citta must exist (in some form) in the future or it could not have future consequences. In order for karma to work as advertised the citta must potentially continue to exist over several lifetimes. The same is true of all cittas. Thus, dharmas exist in all three times: present, past, and future. To summarise: a citta "exists" (in some form) in the present, but in order for us to have knowledge of it, the citta must also "exist" (in some form) in the past; and in order for it to have consequences at a later time it must "exist" (in some form) in the future. Minimally "exist" means that it must at least be able to function as a condition for the arising of mano-vijñāna (i.e. as a dharma); it must be consistent with the imasmin sati formula. Thus, cittas (i.e. dharmas) exist in all three times: present, past, and future. And this, according to the Vijñānakāya, is what sarva-asti means. This view, and developments of it, dominated the first phases of sectarian Buddhism in Indian from around the 2nd century BCE until it was replaced by the metaphysical speculations of the Yogacārins in about the 5th century CE. The sarva-asti view emerges from the application of standard Buddhist axioms to karma and, unlike the Yogacāra view, it does not introduce further speculation or further axioms. It is a plausible solution to the problem of Action at a Temporal Distance, certainly no less plausible than suggesting the existence of seeds in a storehouse. Thus, we should not dismiss the Sarvāstivāda view lightly. If we are going to dismiss it, then it ought not to be on the basis of further metaphysical speculation. More importantly, we ought to offer a better solution to the problem of Action at a Temporal Distance. Bastow, David. (1995) 'The First Argument for Sarvāstivāda.' Asian Philosophy 5(2):109-125. Text online.